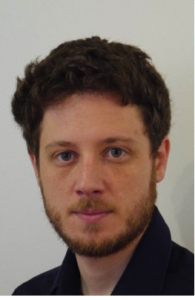 Romain PERETTI received his PhD in Physics 2008 at Lyon University (France) with a thesis on rare earth spectroscopy in optical fibers in collaboration with Alcatel and Draka. He then joined the INL CNRS Laboratory where his research focused on the conception of photonic crystals (PhCs) for applications such as single photon sources, lasers and photovoltaic cells. In 2014 he joined the quantum opto-electronics group of Prof. J. Faist at ETHZ in Zurich (Switzerland). There he worked on quantum cascade lasers (QCL) and demonstrated the first room temperature PhC QCL. In 2016 he joined IEMN where he is leading the Terahertz (THz) bio-photonics research activity. Romain Peretti co-authored more than 30 publications in peer reviewed journals; he is a recognized reviewer for OSA since 2014 and a member of the scientific committee of the Photoptics-2018 conference. R. Peretti , S. Mitryukovskiy, K. Froberger, M. A. Mebarki, S. Eliet, M. Vanwolleghem, J-F. Lampin, « THz-TDS Time-Trace Analysis for the Extraction of Material and Metamaterial Parameters », IEEE Trans. THz S. &T., 9- 2, pp. 136-149, (2019). R. Peretti, F. Braud, E. Peytavit, E. Dubois and J-F. Lampin, « Broadband terahertz light–matter interaction enhancement for precise spectroscopy of thin films and micro-samples » MDPI photonics 5-2 (2018). R. Peretti, V. Liverini, M. J. Süess, Y. Liang, P-B. Vigneron, J. M. Wolf, C. Bonzon, A. Bismuto, W. Metaferia, M. Balaji, S. Lourdudoss, E. Gini, M. Beck, and J. Faist, “Room temperature operation of a deep etched buried heterostructure photonic crystal quantum cascade laser”. Laser & Phot. Rev., 10 843 (2016). G. Gomard, R. Peretti, S. Callard, X. Meng, R. Artinyan, T. Deschamps, P. Roca i Cabarrocas, E. Drouard, and C. Seassal. “Blue light absorption enhancement based on vertically channelling modes in nano-holes arrays”, Appl. Phys. Lett., 104 (2014). R. Peretti, G. Gomard, L. Lalouat, C. Seassal, and E. Drouard. “Absorption control in pseudodisordered photonic-crystal thin films”, Phys. Rev. A, 88, 053835, (2013).